Which Presidents – If Any – Did Right by Native Americans? The disheartening truth about the policies and attitudes of some of our greatest presidents. On the second Monday of October various cities and states celebrate Indigenous Peoples’ Day. Some locales do so along with Columbus Day, others instead of honoring a man who began the conquest of America’s Indians. Thus, it seems an appropriate occasion to ask whether in ranking our forty-five presidents we are mindful enough of their policies toward Native Americans. In his essay “The Indian Policy of Abraham Lincoln,” historian W. Dale Mason wrote, “President Lincoln … continued the policy of all previous presidents of viewing Indian as wards of the government. . . . He made no revolutionary change in Indian-white relations.” More recently, historian Douglas Brinkley has observed that Lincoln “exhibited much the same insensitivity” toward Native Americans as did other government officials of his day. 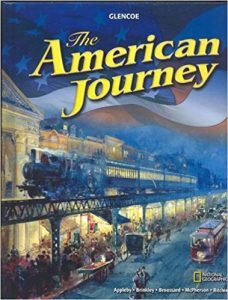 Brinkley has also written long books dealing with the conservation policies of two other presidents who are consistently ranked in our top five—Theodore Roosevelt (TR) and his distant cousin Franklin Delano Roosevelt (FDR). 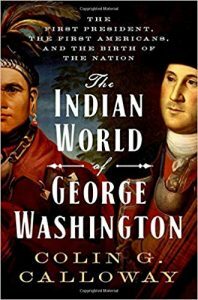 In these works, Brinkley often touches on the two presidents evolving views and policies regarding Native Americans. Although the historian does not quote TR’s infamous 1886 words—“I don’t go so far as to think that the only good Indian is the dead Indian, but I believe nine out of every ten are, and I shouldn’t like to inquire too closely into the case of the tenth”—he does indicate that TR’s views evolved in a more positive direction. Nevertheless, TR still spoke favorably of the 1887 Dawes General Allotment, which divided some communal lands among individual Indians and opened other acreage to white settlers. By 1900, the Indians had lost more than half of their previous lands. 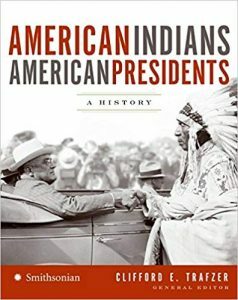 In American Indians/American Presidents: A History, a valuable 2007 book, Clifford Trafzer, the editor, indicates that TR and his successors up until Herbert Hoover not only favored the Dawes Act but also assimilation. No other highly ranked president has a better record toward Native Americans than FDR. 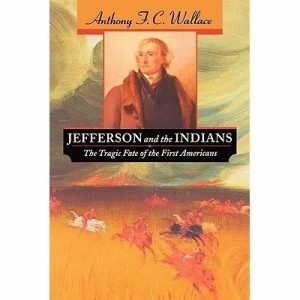 Thomas Jefferson, usually ranked as our fifth to seventh best president, is often criticized for the “awful precedent” he set regarding “federal policy on Indian removal”(see also Jefferson and the Indians: The Tragic Fate of the First Americans). How about our other presidents? Do any of them have commendable records in regard to Native Americans? Two who are usually ranked somewhere between tenth and fifteenth (Lyndon Johnson and Barack Obama) and one who is ranked considerably lower (Richard Nixon) are often mentioned.American Indians/American Presidents, for example, states that Johnson and Nixon “developed some of the most comprehensive and innovative Indian policy statements” in U.S. history. In March 1968, Johnson sent an important message to Congress in which he drew attention to the Indian woes of the time, including high unemployment and death rates. He then stated, “No enlightened Nation, no responsible government, no progressive people can sit idly by and permit this shocking situation to continue.” He proposed ending the termination policy and stressed Indian self-determination. 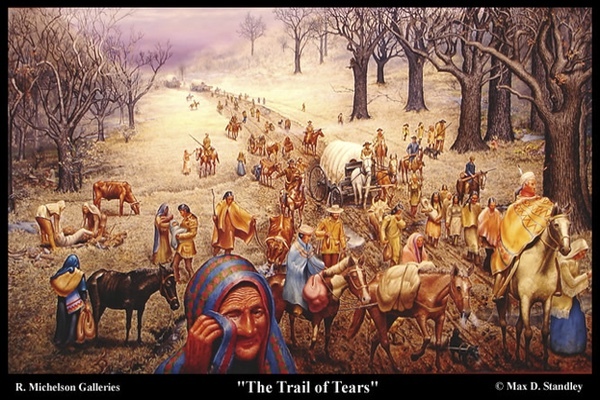 The main way his policies helped Native Americans was through his “Great Society” reforms. As a main web site sympathetic to Indian concerns, Indian Country Today, states, “as economically disadvantaged people, Indians benefited” from his reforms. 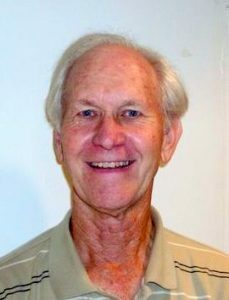 This same web site, in addition to featuring essays on each of our first 44 presidents’ attitudes toward Native Americans, posted a 2012 piece by a Native American entitled “Barack Obama and Richard Nixon Among Best Presidents for Indian Country.” It credited Nixon with “changing course on many of the policies that had driven so many Indians into bleak poverty”; with ending some assimilationist policies; and with encouraging the growth of tribal governments. Although the 1975 Indian Self-Determination and Educational Assistance Act came after Nixon’s resignation, it owed much to his earlier efforts on behalf of Native Americans. The Indian efforts of twentieth–century presidents such as FDR, Johnson, Nixon, and Obama owed debts to outside influences, especially Native American activism. According to one Indian source, the Brookings Institute 1928 Meriam Report, for example, “set the stage for a new era in Indian policy.” As such, it paved the way for FDR’s 1934 Indian Reorganization Act. 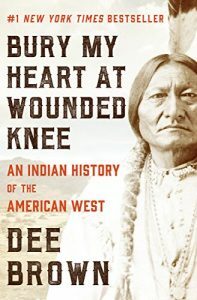 The civil rights activities of the 1960s, the 1970 publication of Dee Brown’s Bury My Heart at Wounded Knee: An Indian History of the American West, and the 1973 Indian occupation of Wounded Knee, South Dakota were just a few of the happenings that helped change U.S. Native American policies. Such outside influences and an era’s mentality are certainly relevant when evaluating the Indian policies of presidents. Because of that we should not expect a Washington or Lincoln to champion measures that reflect today’s thinking. But if those actions had been wiser we would think even more highly of the two presidents. This essay is also not suggesting that because a president like Nixon pushed for Indian policies that were more enlightened than say those of Theodore Roosevelt that the former should be ranked higher. No, there are too many other Nixon negatives. Like Schlesinger Jr., his father was a historian, and both men conducted presidential ranking polls. The father in 1948 and in 1962, when he surveyed 75 historians; the son in 1996, when a smaller number of scholars were polled. In those three polls, Jackson was ranked 5th or 6th. 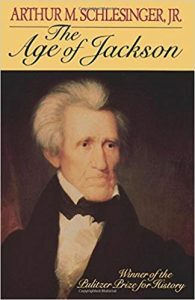 But a 2017 poll, conducted by C-Span of 91 presidential historians, ranked Jackson only 18th. Despite President Trump’s great admiration for Jackson, the downgrade seems warranted.